If you’ve landed on this page then chances are you’re a massive Sailor Moon fan, both of the character and the series. However if you don’t already know: Sailor Moon is a Japanese manga series by Naoko Takeuchi that ran from 1991 to 1997. The series follows the adventures of Usagi Tsukino, more commonly know as Sailor Moon to English readers, a schoolgirl who can also transform into Sailor Moon (the leader of the Sailor Soldiers). The Sailor Soldiers consists of: Sailor Mercury, Sailor Mars, Sailor Jupiter, Sailor Venus, Sailor Chibi Moon, Sailor Pluto and others but for now we’ll be focusing on the leader. 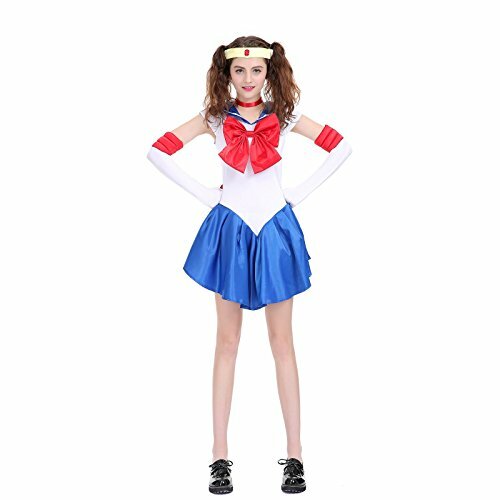 In today’s post we’ll be showing you how to create a do it yourself Sailor Moon costume with pre-made cosplays to choose from too. So without further ado let’s get into it. The first thing to tackle is Sailor Moon’s hair. She has long blond hair worn in an updo wrapped into two buns with two tails down each side, kept in place with two red circle clips. 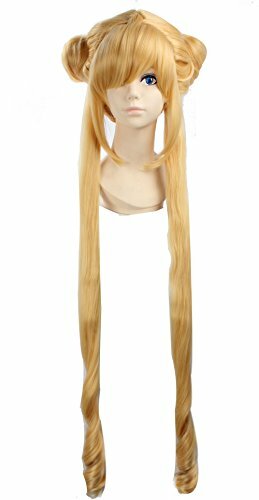 Check out the wig we’ve picked out above that is perfect for this character; there are also clips to go along with it which you can buy separately. However if you have blond hair that is sufficient length you could style your natural hair instead of wearing a wig. You can do this yourself or get someone to help you. Create two tails to begin and then split these into two parts each. Twist one part around the top into a bun and let the rest fall down. Knot with an elastic band and clip with a pin. Alternatively wrap one section of each tail around a hair tie to create the bun at the top for the same end result. After the hair is completed we can move onto the cosplay outfit itself. Here are two options for both girls and women. The women’s outfit includes dress, pair of gloves, headband, the necklace and underwear. The child’s set includes: dress, neck accessory, belt, pair of gloves, bow, stocking and tiara. You could put this outfit together with items from the thirft store if you prefer. Start with a white short sleeved nautical style shirt, blue skirt, red bow and red shoes. Use scrap red fabric to create a neck chocker and arm bands. This would make the perfect group cosplay idea. 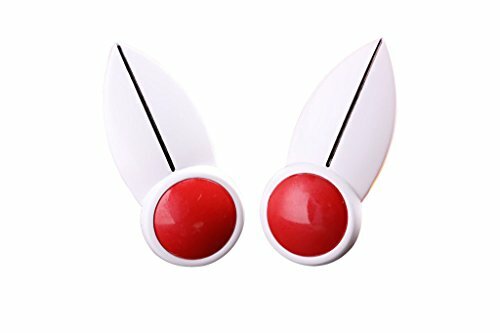 Take a few friends or family members along as different members of the Sailor Soldiers (of which there are many to chose from) and have even more fun! Keep an eye out on the blog for more Sailor Moon themed guides in the upcoming days! 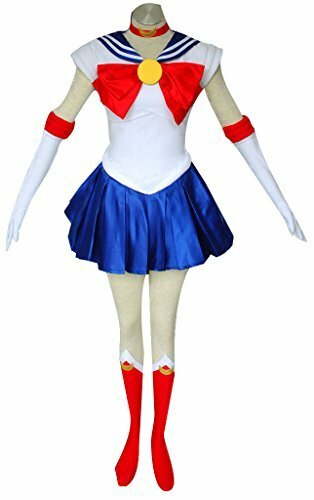 The makeup for Sailor Moon is optional as only light makeup is required anyway but it would help bring the whole look together. This artist is seen wearing a headband which you could easily recreate using a yellow headband or piece of card with a red gem glued onto the centre. Before you leave check out the rest of our blog and for periodic updates on our latest posts follow us on social media.